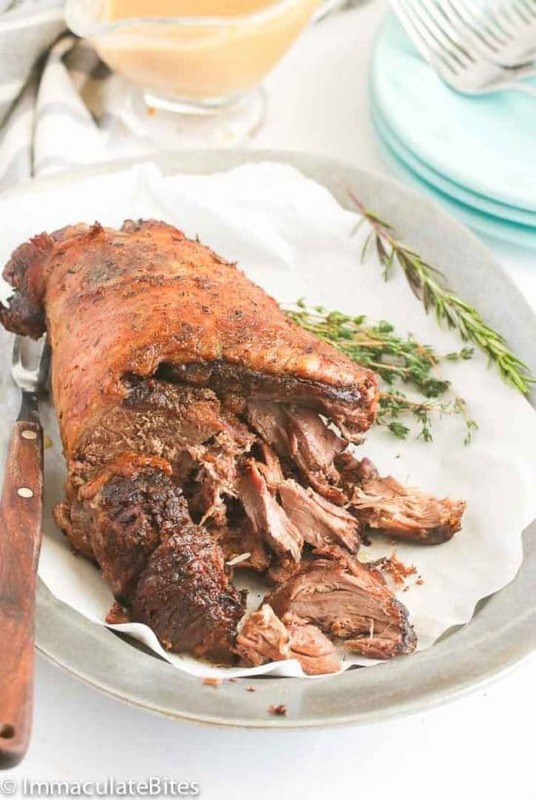 Easter is just a few weeks away, and we’ve updated this collection of leg of lamb recipes so it now has The BEST Recipes for Leg of Lamb in the Instant Pot or Slow Cooker! You can’t go wrong with lamb for Easter or a spring meal; hope you enjoy. Click to PIN The BEST Recipes for Leg of Lamb in the Instant Pot or Slow Cooker! Easter is coming right up, and it’s time to start narrowing down the menu for Easter dinner! This collection of The BEST Recipes for Leg of Lamb in the Instant Pot or Slow Cooker has so many ideas that I think would make a lovely main dish for a holiday meal. Of course Slow Cooker Leg of Lamb makes sense because lamb is so delicious when it’s cooked at low temperatures in the oven. But recently I started noticing drool-worthy ideas for Leg of Lamb in the Instant Pot, and I decided I had to update this round-up to give you Instant Pot recipes if you prefer that method. And although the post title says leg of lamb, I’ve included a few recipes for lamb shanks and lamb roasts to give you plenty of options! Don’t you agree that Instant Pot Leg of Lamb from All Day I Dream About Food looks impressive for a holiday meal? Just serve with cauliflower mash if you’re watching your carbs! You can’t go wrong with Slow Cooked Leg of Lamb with Garlic, Lemon, and Rosemary from Dinner with Julie. Julie serves the lamb with Lemon Potatoes with Garlic and Oregano (recipe included) made from gorgeous Yukon Gold potatoes. Julie also has Leg of Lamb in the Slow Cooker with Garlic and Rosemary if you’d prefer to skip the lemon. Instant Pot Leg of Lamb from Crafty Cooking by Anna looks absolutely delicious! I’d love this for Easter dinner. 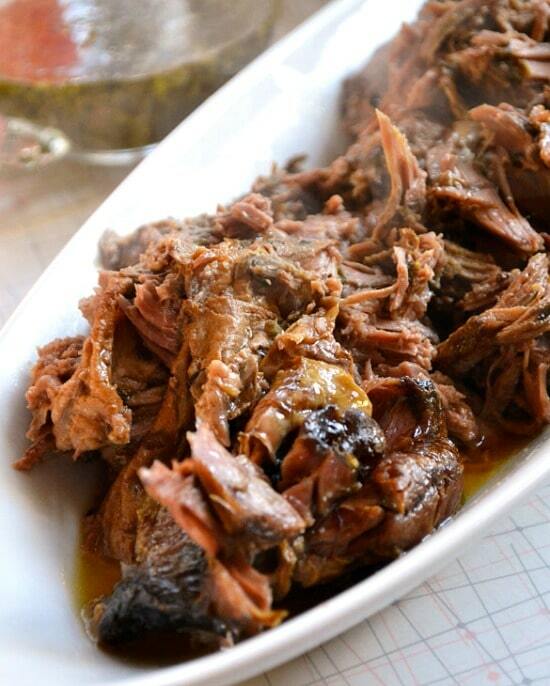 Slow Cooker Roast Lamb Leg from Recipe Tin Eats is served with a delicious gravy. Yes, please! Lamb Roast in the Instant Pot from Easy Keto Dishes has rosemary and garlic flavors, and this is another one that looks delicious! I’m intrigued by the addition of pomegranate seeds in this Instant Pot Lamb Shoulder Roast Greek Style from Instant Pot Eats! 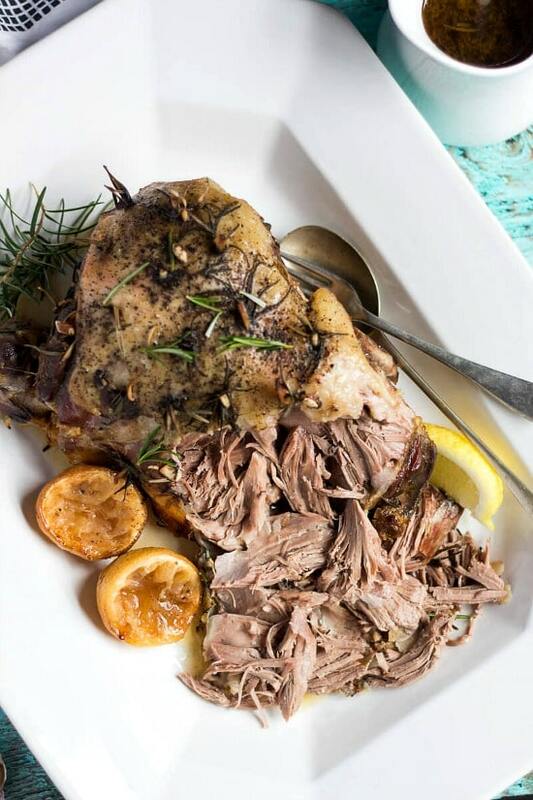 Rachael from Eazy Peazy Mealz says her Slow Cooker Roast Lamb with Lemon, Rosemary, and Garlic can be served in a variety of ways. Pressure Cooker Luscious Lamb Shanks from Pressure Cooking Today sound delicious, and the shank is likely to be a bit less expensive. Instant Pot Leg of Lamb with Gravy from Savory Tooth looks absolutely amazing, and Julia serves this with cauliflower mash for a low-carb meal! Stephanie from A Year of Slow Cooking says this recipe for Slow Cooker Mint Glazed Lamb has made her realize how mint and lamb just naturally go together! Stephanie also has Leg of Lamb with Rosemary and Lemon and her basic Slow Cooker Leg of Lamb. Can you tell she’s a fan of leg of lamb cooked in the slow cooker? 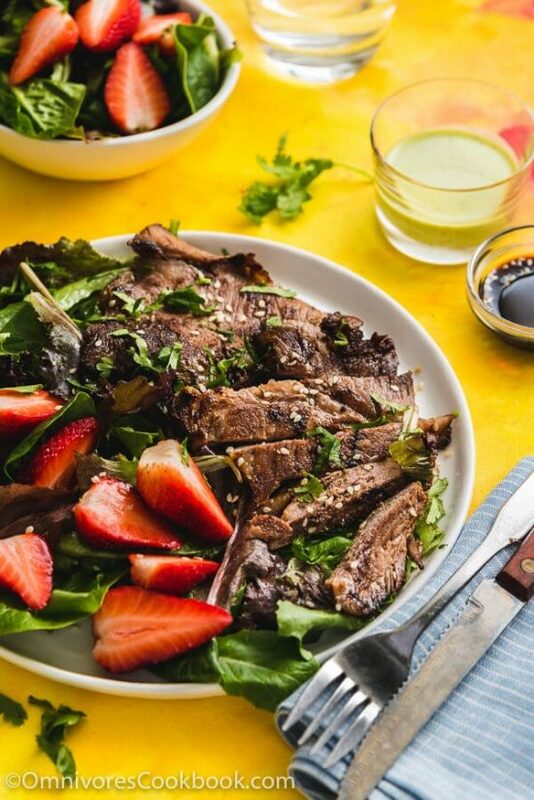 Pressure Cooker Lamb Leg from Omnivore’s Cookbook looks like spring with beautiful strawberries on the serving platter with the lamb! 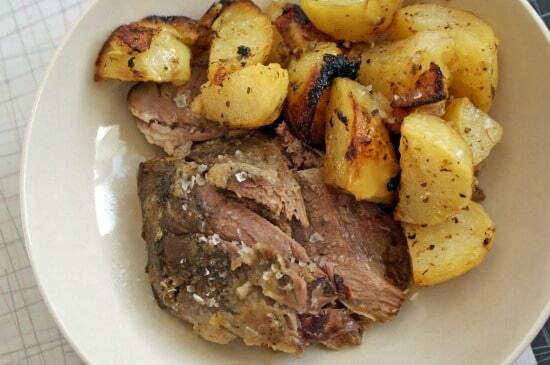 Slow Cooker Leg of Lamb with Potatoes looks good from The Happier Homemaker. Instant Pot Leg of Lamb with Roasted Brussels Sprouts and Carrots from The Grain-Free Kitchen sounds like a tasty meal! Imma from Immaculate Bites uses boneless leg of lamb for this delicious-looking Slow Cooker Lamb Leg! Pressure Cooker Lamb Shanks from The Foodie Eats are inspired by a Gordon Ramsey recipe that Gary adapted for the Instant Pot. Yum! And finally, Dinner with Julie’s newest recipe for slow cooker lamb is this Leg of Lamb in the Slow Cooker with Mint, Rosemary, and Garlic, and it has a homemade sauce made with fresh mint that sounds divine. Use the Index Page for Lamb to see all the Slow Cooker and Pressure Cooker Lamb Recipes that have been featured on this site. What’s on your menu for Easter? 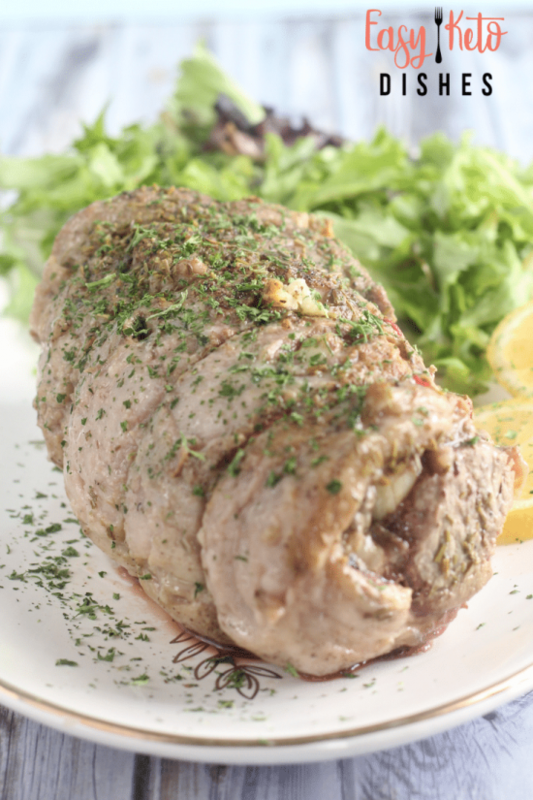 If you’re making lamb, tell us in the comments how you’re planning to cook it! The only way I ever cook lamb is to marinate a boneless leg of lamb in yogurt, lemon and mint, and toss it on the grill. I’ve never thought to use my slow cooker! Now I’m eager to try it. I am intrigued by it too!